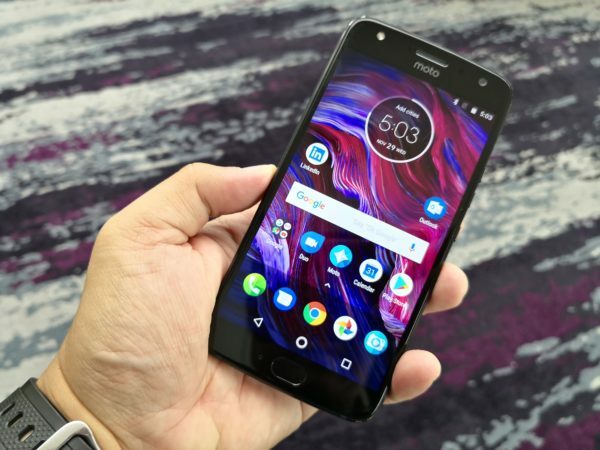 Since being bought by Lenovo in 2014 and having the brand overhauled extensively, the Moto name seems to have gotten its mojo back. The Moto Z modular system was impressive when I tried out the Moto Z2 Play in Thailand earlier this year. It lets you easily snap on an JBL speaker, game controller, a 360 camera and other add-ons. Now the X4 is the simpler, non-modular option for those who don’t want the cost or weight of add-ons. Launched in Singapore yesterday, it is Lenovo’s answer to those who prefer a convention handset. As is the case for flagships today, the Moto Z4 sports two cameras in the rear. One shoots at 12 megapixels with an f2.0 lens and the other captures images at 8 megapixels with an f2.2 lens. The setup is similar to what we see in the LG G6, for example. 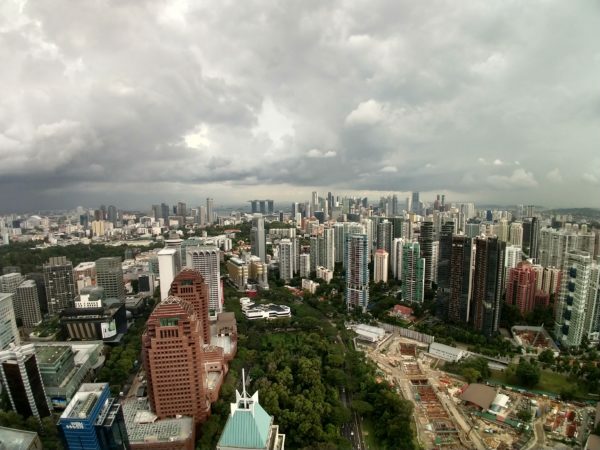 It is a boon for users who love to capture landscapes by using the additional wide-angle lens. I did some quick tests with the phone and while I love the wide-angle view, the images are not as crisp as you’d like when viewed on a 4K screen. 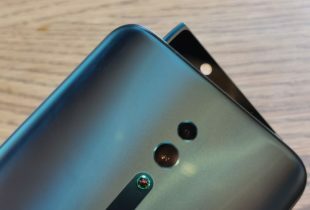 It may be down to the rather modest 8-megapixel sensor that is unable to capture more information. When viewed on the phone’s own 5.2-inch IPS Full HD screen, things look okay. The good news is that the rear 12-megapixel ‘default’ camera shoots pretty good images on Auto mode. I definitely need to bring the phone out to do more tests. 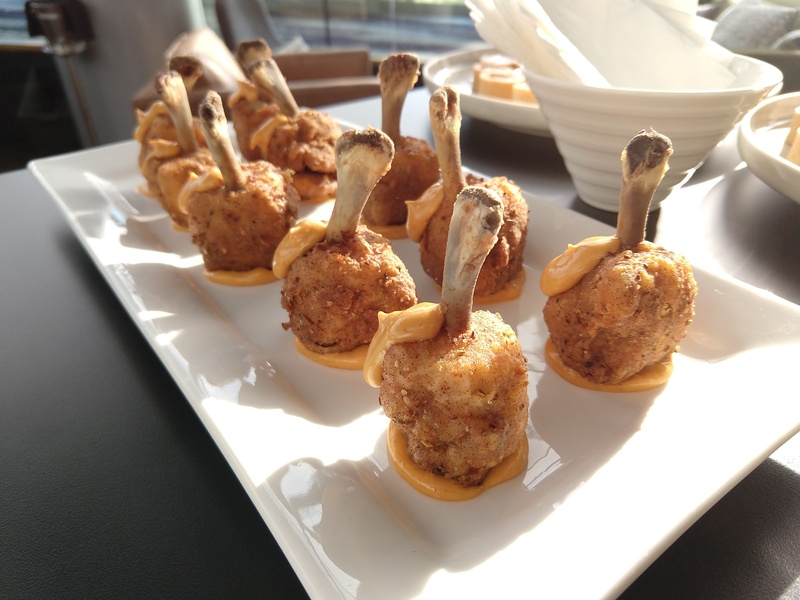 Shot with the wide-angle camera at 8 megapixels. More of the landscape can be seen with a very dramatic shot, though it may not be as crisp as you like. PHOTO: Wilson Wong. 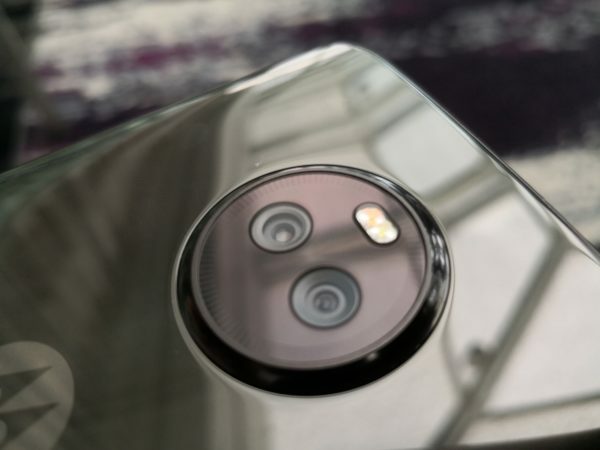 Seems like Moto put more emphasis on the front facing camera for this phone. It has a much higher 16 megapixel sensor with f2.0 lens for selfies and wefies although I am not a fan of the images shot with this camera. 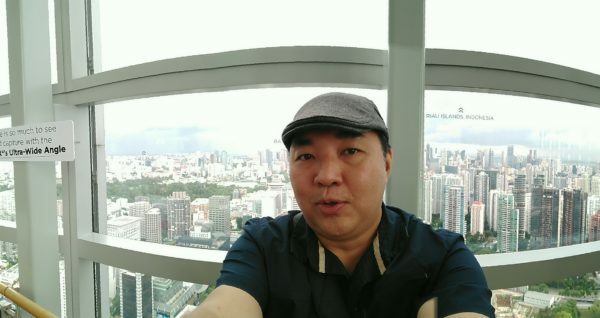 I did a ‘Selfie Wide’ shot here first seen with the Samsung Galaxy smartphone. 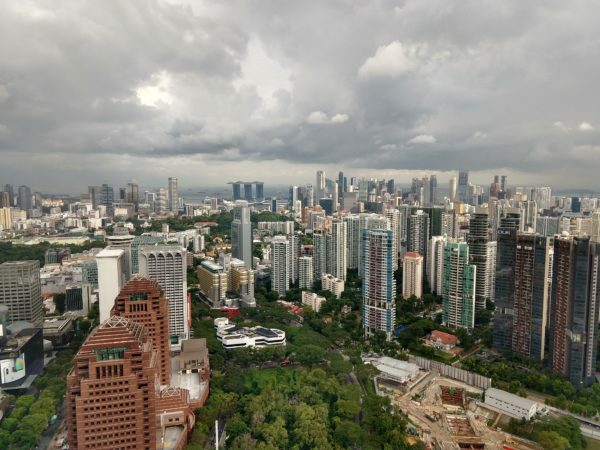 When it is a Panorama shot, there bound to be stitching issues as it is quite evident here. Good thing my face is not split in half. PHOTO: Wilson Wong. I appreciate how Lenovo is thinking out of the box in many ways. The Moto Key feature, for example, is tied to passwords you use to log in to services online and it enables you to unlock them by simply using your fingerprint sensor on the phone. So, essentially, you authenticate yourself before populating the username and password fields for an online service. The credentials are sync’d and you save yourself the trouble of keying them in each time you log on. It’s a useful feature that will be welcome by business users. 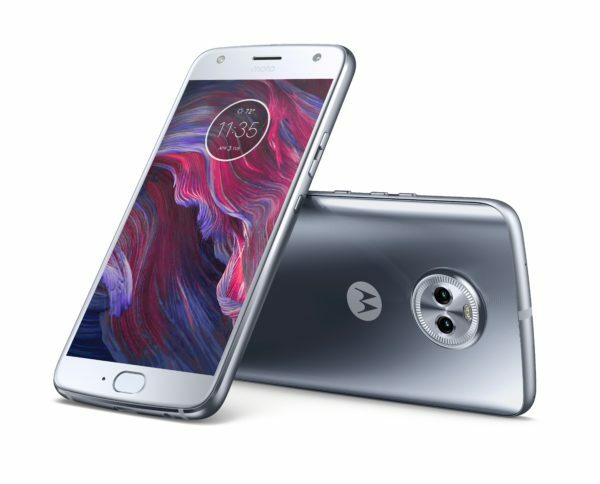 The Moto X4 can also connect up to four Bluetooth devices at the same time. This can be useful for sharing a cartoon channel, say, with two kids on a flight, with each having his or her own Bluetooth headset. For those who don’t need this, or prefer to go wired, the phone comes with a 3.5mm stereo port too. Here’s the Sterling Blue version and yes, the thumbprint is evident. PHOTO: Wilson Wong. Corning Gorilla Glass covers the back like many other flagship phones these days. PHOTO: Wilson Wong. If you are looking for a sophisticated-looking phone like the Samsung S8 or the Huawei Mate 10 Pro, the Moto X4 may disappoint. It does not look as sleek because of the thicker top and bottom bezel at the front. It still have the same glass and metal combination of the competition though. I particularly like the colour choice, Sterling Blue and Super Black, that exudes some style. At S$599, the Moto X4 is considered more of a mid-tier offering and its specs reflect this. It comes with a Qualcomm Snapdragon 630 processor and Adreno 508 graphics chip. You also get a useful but not top-notch 4GB of memory and 64GB of storage, plus support for a 2TB microSD card. Its battery capacity, at 3,000mAh, is really nothing to shout about (the Mate 10 Pro has a 4,000mAh power pack). 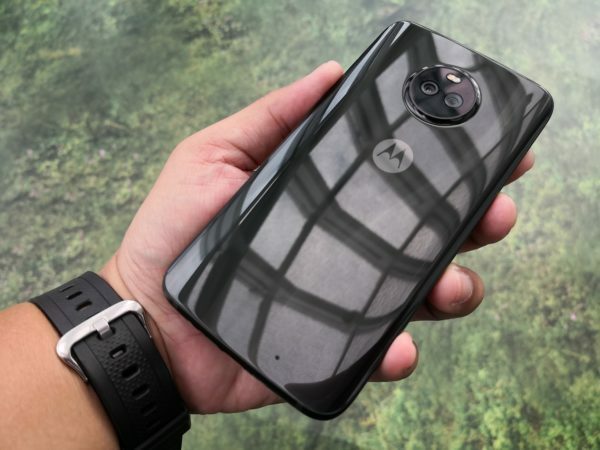 The good news is the Moto X4 juices up fast – you get six hours of power by plugging it in for 15 minutes using a 15W TurboPower charger, which is pretty impressive. 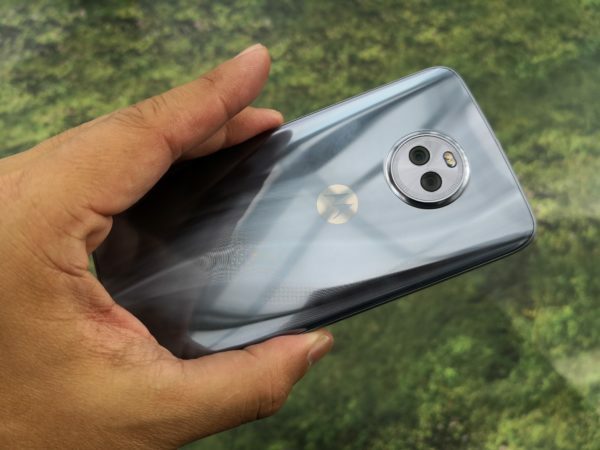 There’s also an IP68 rating, so the Moto X4 won’t be damaged if you use it by the poolside or splash water on it. It is clear the phone is not going to win any specification war but it has enough chops to get daily mobile computing tasks done without hassle. Plus, its metal and glass design is tastefully done. Its price could prove attractive at a time when top flagship phones regularly go for more than S$1,000.